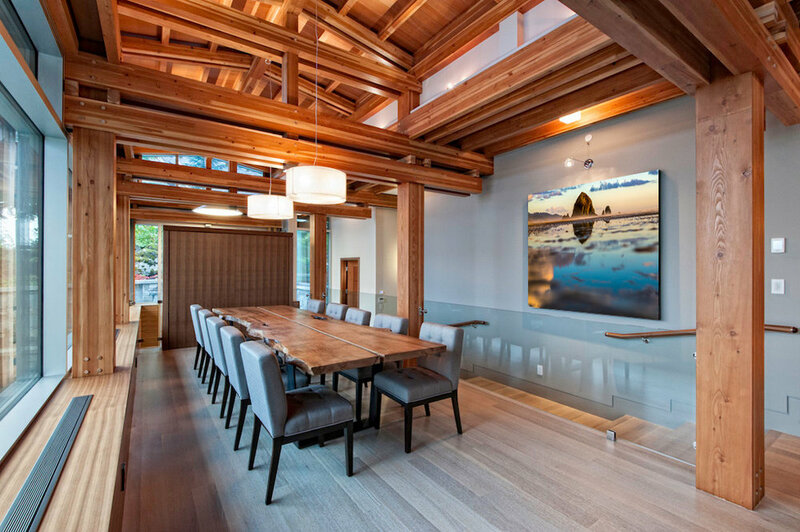 Sayde's image of Cannon Beach hanging in a client's home in Whistler, BC. Being outdoor wedding photographers has taken us to many enchanting and unique places around Vancouver Island, British Columbia and the Pacific Northwest, which has always left us with a thirst for visiting more. In the beginning, our landscape photography was mostly for us to enjoy, as personal souvenir of all the scenic vistas we'd fallen in love with. What started as a hobby has become a little business of its own, and we've begun selling canvases of our photos to the public: tourists and travellers who've become fascinated by the sights here, and locals who want to accent their walls with images of the places they call home. Here you'll find the canvases we have for sale. Scroll down to check out the images we've captured, and if you have an interest in ordering a canvas of any of them simply click it and you'll be taken to an order page! Thank you for checking out our landscapes! Please consider purchasing some beautiful wall art for your home.